In 1988, Mikhail Tal won his last world title by becoming World Rapids Champion, topping Kasparov and Karpov at St. John, Canada. In 1988, at the Saint John International, GM Kamran Shirazi was forfeited while he pondered his next move. An arbiter reminded him of his obligation to record the moves of the game when not in time pressure. Shirazi forgot to write down the last move and a half. Under FIDE rules, players must keep score unless under dire time pressure. Shirazi had an hour on his clock. Shirazi was reminded again, and he balked, arguing he would think first and write later. The arbiter then deducted 5 minutes from Shirazi's clock. Shirazi then stormed over to another arbiter for second opinion. By now, he was forfeited and the appeals committee upheld the arbiter's decision to remind Shirazi and deducting 5 minutes from his clock. In 1988 HITECH won the Pennsylvania State Chess Championship after defeating International Master Ed Formanek (2485). HITECH defeated Grandmaster Arnold Denker in a match. HITECH became the first chess computer to defeat a player rated Grandmaster strength. In 1988, Stan Vaughan played 1,124 correspondence games at once. In 1988, Mark Ginsburg won the Manhattan Chess Club championship. In 1988, Andy Soltis won the Marshall Chess Club championship. In 1988, Mark Taimanov took 1st at Biel in the Senior Championship. In 1988, Vasily Smyslov was 67 when he played in the 55th USSR Championship. In 1988, Air Force Staff Sergeant Emory Tate won the 29th US Armed Forces championship. Air Force won the team championship. In 1988, Guillermo Garcia, three-time chess champion of Cuba, took 2nd place in the New York Open. His $10,000 prize was confiscated by the Department of Treasury, invoking the Trading with the Enemy Act of 1917, because he was Cuban. He never got the money as he died two years later. In 1988, Milton Hanauer (1908-1988) died. 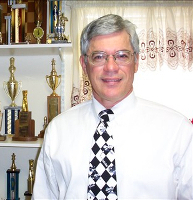 He was a public school principal, chess master and Marshall Chess Club official. He is best known for running the New York school competition that became known as the Hanauer League and for writing the book Chess Made Simple. He played on the silver medal winning US team in the 2nd Chess Olympiad at The Hague 1928, qualified for four US Championships, and was Marshall Chess Club champion in 1950-51. On March 3, 1988, Timur Garev was born. He is an Uzbekistan GM. On April 20, 1988, Mark Bluvshtein was born. He is a Canadian GM. On April 26, 1988, Rauf Mamedov was born. He is a GM from Azerbaijan. In May 1988, Walter Browne formed the World Blitz Chess Association and published Blitz Chess magazine. This ended in 2003. On June 21, 1988, Alejandro Ramirez was born. He is a GM from Costa Rica. On June 24, 1988, Andrew Serotta won the US Junior Open, held in St Louis. In July 1988, Maxim Dlugy won the World Open, held in Philadelphia. On July 21, 1988, Lina Grumette, chess organizer, died. In August 1988, Jon Speelman beat Nigel Short 3.5-1.5 in London in a Candidates match. In August 1988, Jonathan Mestel won the British Championship. In August 1988, Dimitri Gurevich, won the US Open, held in Boston (614 players). Maxim Dlugy won the US Open blitz championship. On August 5, 1988, Bobby Fischer filed a patent for a digital chess clock. In September 1988, Anatoly Karpov won the Tilburg Interpolis (Category XV - 2627). In September 1988, Ayatollah Khomeini re-allowed chess in Iran after banning it in 1981. On September 15, 1988, the USAF won the Armed Forces championship. On September 27, 1988, David Baramidze was born. He is a German GM. In October 1988, Michael Wilder won the U.S. championship, held in Cambridge Springs, Pennsylvania. In October 1988, Garry Kasparov won at Reykjavik (Category XV - 2618). In October 1988, Lautier, Ivanchuk, Serper, and Gelfand tied in the World Junior championship, held in Adelaide. On October 1, 1988, the 8th world microcomputer chess championship was held in Almeria, Spain. It was won by Mephisto Almeria. In November 1988, Tony Miles won the Software Toolworks Championship, held in Long Beach. On November 13, 1988, International Master Bela Perenyi (1953-1988) died in a car accident near Kistelek. He was travelling to a chess tournament in Saloniki. He was the fiance of WGM Ildiko Madl. In November 1988, the 24th American Open, held in Santa Monica, was won by Jack Peters. Grandmaster Bent Larsen became the first GM to lose to a computer in a major tournament - the American Open. On November 27, 1988, GM (1959) Johannes (Jan) Donner died of a stroke at the Vreugdehof nursing home in Amsterdam at the age of 61. He is buried at Zorgvlied Cemetery in Amsterdam. He won the Dutch championship in 1954, 1957, and 1958. In November 1988, DEEP THOUGHT had a rating of 2550. The $10,000 Fredkin prize was awarded to the inventors of DEEP THOUGHT for being the first program to achieve Grandmaster status. In December 1988, the last issue of 'Deutsche Schachzeitung' was published. It started in 1846 and only stopped from 1945-49. In December 1988, the USSR team won the Thessaloniki Olympiad (107 teams). Judit Polgar, at age 11, won a gold medal. She is the youngest Chess Olympiad gold medalist. The game between Yasser Seirawan and Xu Jun ended in stalemate after 198 moves, the longest stalemate ever. During the Olympiad, Woman Grandmaster Elena Akhmilovskaya, playing on the Soviet women's team (she had a score of 8.5 out of 9 on board 2), defected and eloped with International Master John Donaldson, who was captain of the USA men's team. The two were married at the U.S. Consulate in Greece. In December 1988, Hungary won the Thessaloniki women's Olympiad (56 teams). The Hungarian women's team (Susan, Judit, and Sofia Polgar with Ildiko Madl) displaced the Soviet team for the gold. It was the first time that the Soviet women's team did not win the women's event. On December 5, 1988, Honorary Emeritus GM (1983) Erik Ruben Lundin (1904-1988) died in Sweden at the age of 84. On December 17, 1988, Anatoly Karpov won the world action chess championship, held in Mazatlan, Mexico. (61 players). On December 30, 1988, Harvard won the Pan-am Intercollegiate, held in New Jersey. (35 teams).